Education: Louisiana State University, B.A., South Texas School of Law, J.D. Senator Joan Huffman started her career as a public servant in 1981. Upon earning her undergraduate degree from Louisiana State University, she became a secretary for the Harris County District Attorney’s office. It was there that she became inspired by the work of prosecutors and decided to enroll in night classes at the South Texas College of Law while continuing to work full time. 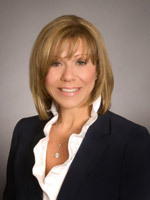 Upon earning her law degree, Joan was hired as a prosecutor and advanced from misdemeanor court to Chief Felony Prosecutor, Special Crimes Gang Prosecutor, and Legal Counsel to the Organized Crime Narcotics Task Force. She served as lead prosecutor in over 100 jury trials, including murders, aggravated robberies, and sexual assaults of adults, and children. Senator Huffman earned a reputation as a fair and tough enforcer of the law both as a prosecutor and a twice elected Judge to the 183rd Criminal District Court in Harris County. 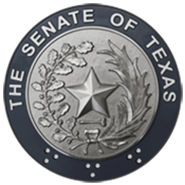 Senator Huffman was first elected to the Texas Senate in 2008 and has been re-elected four times. Her background and knowledge on various topics has allowed for her to serve on several key committees which impact the overall operation and efficiency of state government. She currently serves as Chairwoman of the Senate Committee on State Affairs, Vice Chairwoman of the Senate Committee on Criminal Justice, as a senior member of the Senate Committee on Finance, and as a member of the Senate Committee on Administration and Legislative Budget Board. Senator Huffman’s common sense approach to solving issues has allowed for her to build strong relationships with members of both parties, which enables her to represent the needs of her district and her constituents efficiently and effectively. Her leadership has been acknowledged by numerous advocacy groups. She was named as the "2017 Hero for Texas Children" by the National Center for Missing and Exploited Children, and a “Big Voice for Little Texans” by Court Appointed Special Advocates for her work to protect children. She is also the only three-time recipient of the Texas District and County Attorneys Association’s “Law and Order Award” since its inception, for her efforts to improve victims’ protections and the criminal justice system. She is widely recognized as the Senate's leader in the fight against human trafficking and also serves on the Board of Directors for Child Advocates. Senator Huffman lives with her family in Houston and proudly represents a diverse district which includes portions of Brazoria, Fort Bend and Harris counties. Download Senator Huffman's Bio in PDF format.